Designing curtains, swags and tails and window dressings finds inspiration from the room style and its occupying area and space. 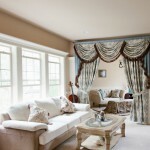 Curtains, swags and tails and window dressings can be a focal point of any room. They frame both the window on the inside and the view of the outside, and must be complimentary to both. Curtains, swags and tails and window dressings must be perfectly proportioned and balanced to suit the window and room size. The design and fabric selection must reflect the personality, tastes and lifestyle of the home and it’s owners. The key to great design is to combine both elements, achieving maximum style impact while maintaining required functionality. 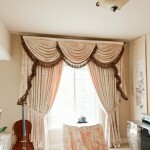 The style of window dressing used and the selection of fabric will influence the character, mood and style of a room. 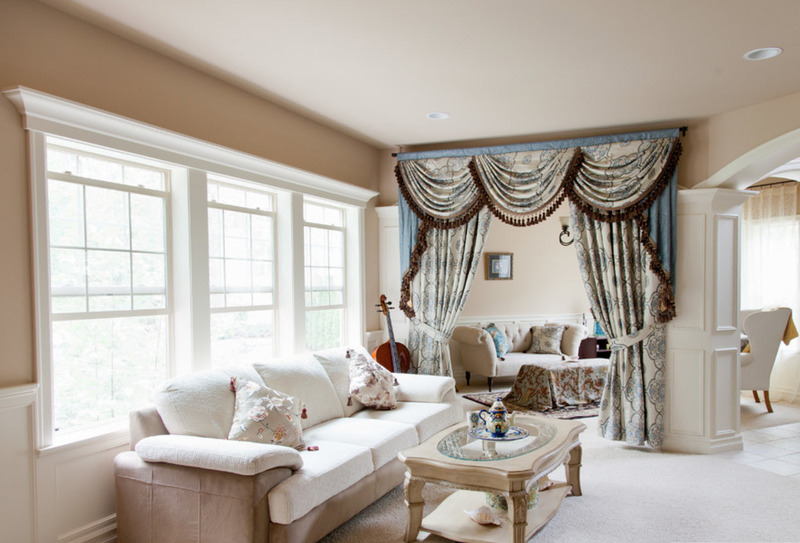 Carefully selected curtains, swags and tails and window dressings create ambience and can give an impression of warmth or have a cooling effect as required. There are hundreds of approaches and combinations that can be used. 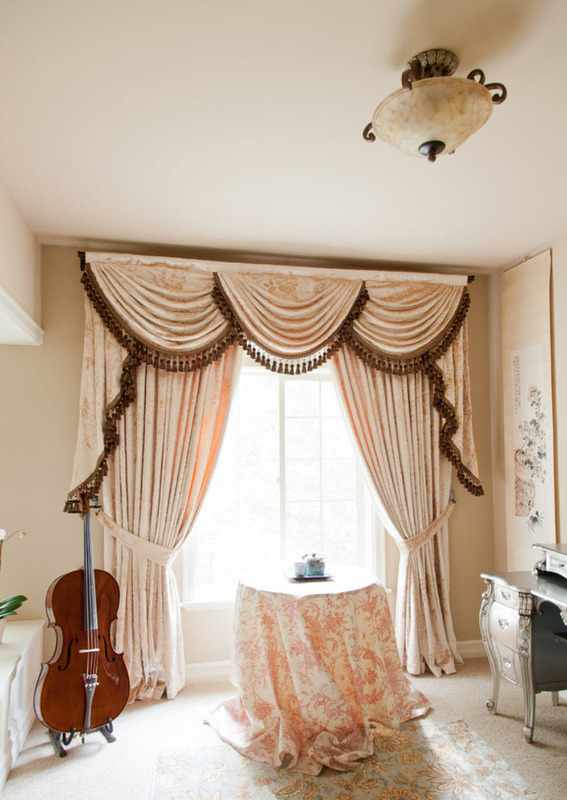 Proportion, design, colour, pattern and texture of fabric are crucial elements in the creation of stunning curtains, swags and tails and window dressings and Taylor and Stirling can create the perfect style to accentuate and compliment your room, lifestyle and views.